Pale sunburst amber color. Spicy, fruity aromas and flavors of ginger beer and sour cherry preserves with a supple, tangy, effervescent, fruity medium body and a sleek, complex, medium-long finish that presents notes of green apples, spiced nuts, fresh ginger, and pepper finish. A fun fruity, gingery spiced mead with great flavor and balance. Bottom Line: A fun fruity, gingery spiced mead with great flavor and balance. Cyser is a particular sub-category of melomels, where the fruit in question is specifically: Apples. 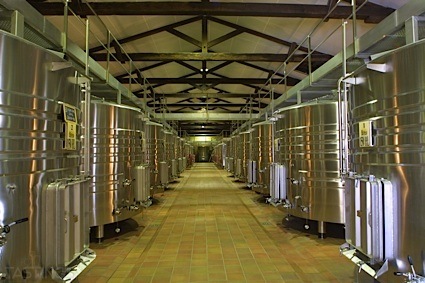 Some haze may be present here, especially if actual fruit (vs. filtered juice) was used for fermentation. 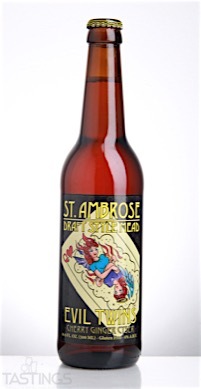 St. Ambrose Evil Twins Draft Style Mead rating was calculated by tastings.com to be 93 points out of 100 on 12/7/2016. Please note that MSRP may have changed since the date of our review.